What would a coffee summer school be like? We are launching a new project that will make difference in the lives of 15 teenagers next week: The Bean Academy. The kids that will participate in this one-week program are from a rural school in an underprivileged area close to the farm. The workshops will develop personal and professional skills such as personal values, communication, leadership and so on, as well as coffee skills, from basic coffee growing principles to grading, roasting, cupping and barista skills. In the first day of the Bean Academy, teenagers participated in integration and team work activities to get to know each other. 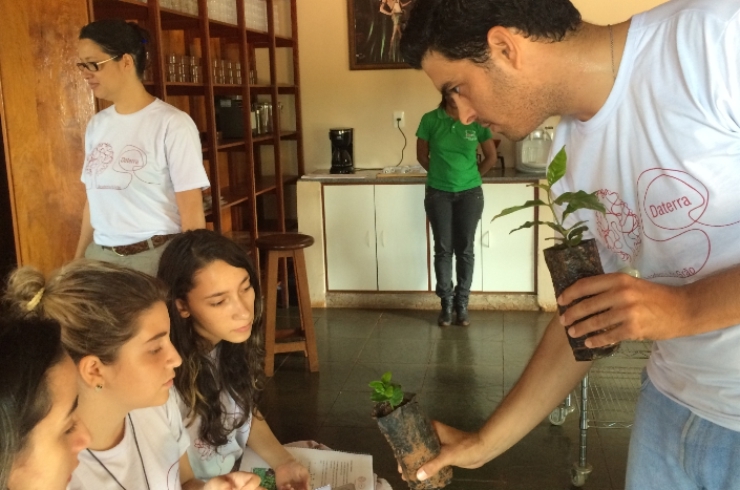 They also had a workshop with our Joao Carlos, one of our Agronomic engineers, to learn about coffee growing techniques and how to take care of the plantation.